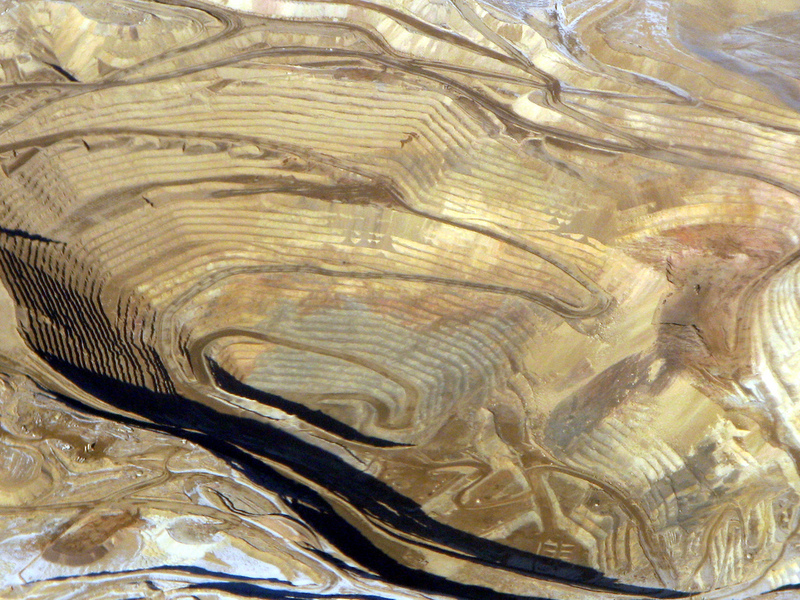 How gold has circulated matters for understanding the impetus for gold extraction. A recent presentation in London on the gold market’s outlook served as a reminder on the importance of paying attention not only to the production of things, but also how they are circulated. For industry analysts, the linkages are quite clear: that any prognosis on the gold market, and any decision on whether to (re-)invest in gold and gold miners, must be grounded on a thorough appraisal of the commodity’s ‘fundamentals’. This meant not only looking at gold mine production, but also a vast array of factors that span currency movements, Indian weddings, and political tensions between Ukraine and Russia. Whether anyone can truly predict gold’s future prospects is another matter, but at the heart of these analyses was the issue of circulation which carries particular weight for gold, a commodity whose largest reserves are located above ground. Understanding why gold mining remains such a lucrative business activity in the first instance entails looking at how these existing gold reserves—which hold greater sway on gold’s price and supply—have circulated, and how these have changed in the past 15 years. This means setting our sights on the political and social mediation of actors and institutions located in places far from where physical extraction takes place, and perhaps rethinking the extractive complex beyond the ‘hole in the ground’—that demarcated space that has been the subject of much contestation over its appropriation and use—towards other scalar configurations that prop up gold’s extraction. Throughout history, gold has been prized for its lustre, its rarity, and for its function as a store of wealth. Its modern day valuation is not far removed from this. Gold and its value are largely sentiment driven: Central Bank desire to hold or sell gold, cultural affinity for gold jewellery, and its utility as an investment constitute its most significant sources of demand. It is thus moved by a broader and different set of factors than that which moves other commodities, that are primarily anchored on industrial use. In gold, only about 10 per cent on average can be attributed to technological demand. The configuration of supply is equally unique: above-ground gold reserves kept in vaults, traded in coins or used as jewellery comprise the largest stocks, with annual mine production contributing to only about 2 per cent of what is already there. Gold is malleable and can be transformed from one form to another without tarnishing, and is durable. It is estimated that nearly all the gold ever unearthed still exist up to this day. It therefore exemplifies an extreme case of recycling: what has been dug up can be continually reworked, re-used and re-circulated. Gold’s recent history has been punctuated by movements in already existing supply, sequestered or released at certain periods, that it is often helpful to think of its demand and supply dynamics as the flip side of the same coin. Central banks, for example, can swing from being suppliers to buyers, as has been the case since 2009. For gold mining, this configuration means that fluctuations on how gold is held can significantly dampen or bolster the gold price. Indeed, what has contributed to the making of a conducive environment for its extraction rested in part on the interplay of control and access, regulation and deregulation that governed how gold has circulated preceding and during the commodity boom of 2003-2012. One of the first meaningful changes implemented in the gold market had to do with regulating traditional sources of supply for gold. Central Banks, which held about a quarter of the world’s total gold reserves above ground in 1999, were then its most powerful players as threats of large-scale selling pushed the gold price to new lows. The signing of the Central Bank Gold Agreement in 1999 (reviewed and reaffirmed every 5 years after) is aimed at curtailing any potential sales—by placing a cap on what some of the largest reserve holding nations, concentrated in the West, can place back in circulation in any single year. There are a number of strategic considerations behind this, but the effect of creating scarcity by withholding reserves was stability for the gold price. This proved pivotal for changing the behaviours of other actors, investors and gold miners in particular, that would be supportive of a rising gold price. Regulation in the release of gold supply on the market was paralleled, in contrast, by the opening up of new sources of demand by expanding gold’s circulation. This came about through deregulation that changed the terms of ownership of gold in what is now its most significant market: China. As of 2013, China accounts for 26 per cent of the world total for private sector gold demand from only 7 per cent ten years prior. Jewellery comprises a large chunk, but alongside it is the sharp growth in retail investment for gold following the lifting of the regulatory ban (in place since 1950) on individual ownership and trading of bullion in 2004. 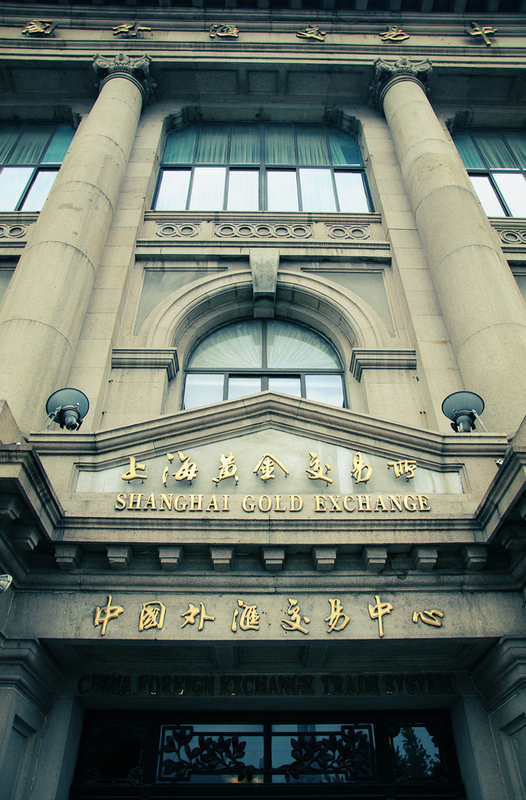 The Shanghai Gold Exchange, introduced in 2002, became a vibrant platform for trading, with the opening up of new means of access to gold by a flourishing middle class that hold greater capital at its disposal. The phenomenal success of these policies is evident in the tripling of China’s retail investment market from 2002-2012. The deregulation of China’s gold market is of course part of a broader reform process underway in the country, but organisations like the World Gold Council, the grouping of the world’s largest gold mining companies, facilitated the process. By commissioning reports and partnering with strategic organisations within China, the World Gold Council has had a hand in the establishment of the Shanghai Gold Exchange and the creation of gold investment products (such as the Gold Accumulation Plan) that actively sought to tap into the emerging class of consumers within this market. In the West, this is mirrored by the introduction of new means of investing in gold, also spearheaded by the World Gold Council, that tap into the strength of institutional investors (e.g hedge funds, pension funds) in capital markets and their growing desire to gain leverage to the gold price. Through bullion-backed exchange traded funds, set up in 2004, investors can own (and liquidate) a fraction of an ounce of gold (per share) in the same speed as stocks, as they are tailored to overcome the difficulties in access, storage and costs associated with owning physical bullion that held investors back in the past. 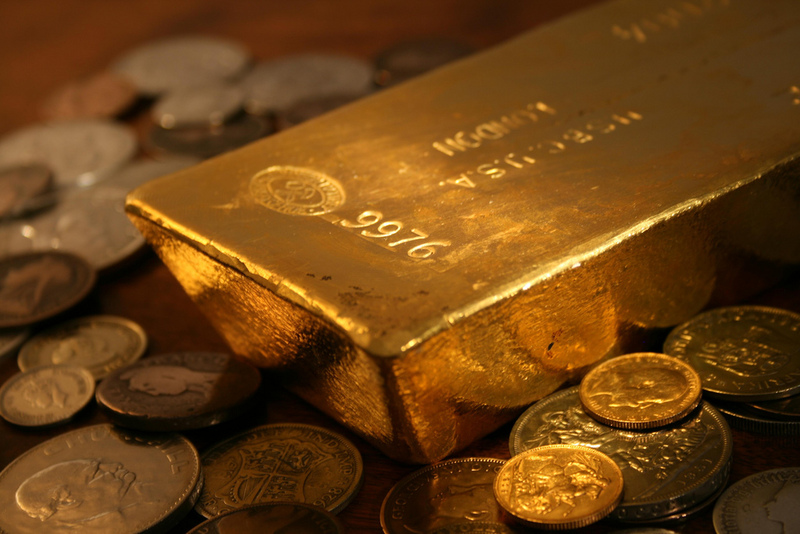 Combined, demand for retail investment and exchange traded funds constitute overall investment demand for gold, which accounts for about 35 per cent of total gold demand in 2012. Investment demand saw an almost quintuple growth from 2004-2012, the largest jump among the sources of demand! What these also point to is that the past decade has allowed for greater diversification in the holders of gold, another period of ‘democratisation’ in gold’s long history, in so far as it allowed ‘ordinary’ people to own it more than before. But it also shows how the new owners of gold mirrored the new geographies of power globally and within countries. The shift from Western to a new generation of Eastern consumers reflect the growing economic power of China’s emerging middle class. While the ownership of institutional investors are a testimony to their status as large holders of capital in Western economies. The official holdings in Central Bank reserve also show a rising share from developing country governments, which fuelled Central Bank purchases in recent years. This new assembly of power, that wields tremendous influence on gold’s movements, is part of what underlies the gold market which perhaps inadvertently, and in some cases engineered, support for its valuation and extraction.